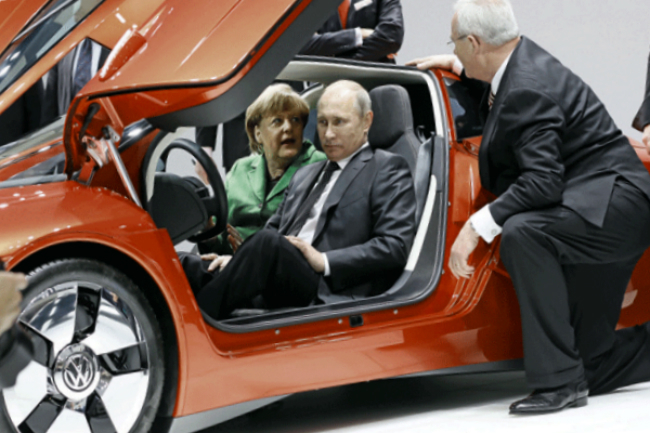 Volkswagen is not going to stop increasing production nor sales in Russia in spite of sanctions imposed by Europe. Recently, the official representative of the Volkswagen Group announced that the auto manufacturer was not going to stop its working in Russia as a result of sanctions imposed by the leaders of the European states. The carmaker considers that it has no idea to stop activities in the Russian Federation because of the Crimea annexation. Currently, the Volkswagen brand has the new engine plant in Kaluga, there are over 5,000 people work there and where the carmaker assembles the Skoda and Volkswagen cars. During the period from 2006 to last year, the auto manufacturer invested over 1 billion dollars to development of the Russian auto market. This year the VW plans to invest about 1 million dollars to its sixth auto market until 2015. In Russia, the Volkswagen manufacturer sells about 10 per cent of its cars including Skoda, Audi and Volkswagen models. During the first months of this year there were 37,836 cars sold in Russia.